​Best Selling Author, Commentator and Thought Leader. Former VP and MD, Procter & Gamble Worldwide . Former CEO, Procter & Gamble India. 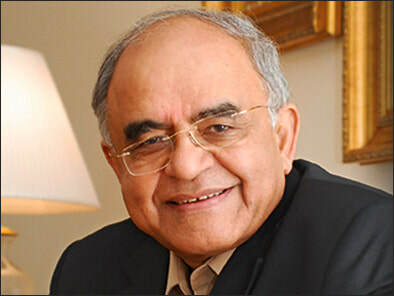 Gurcharan Das is an author, commentator and former CEO of Procter & Gamble India. His latest book, India Grows at Night: A liberal case for a strong state, was on the FT’s best books for 2013. His much-acclaimed The Difficulty of Being Good is ‘a riveting examination of governance and corruption in the modern world,’ said Newsweek. His international bestseller, India Unbound‘is a quiet earthquake’ according to the Guardian, and available in 17 languages and filmed by BBC. ​He is on a number of Indian and global boards and is a regular speaker to the managements of the world’s largest corporations. He has served on the juries of the Templeton Prize, the McKinsey Award, and the Milton Friedman Prize. Gurcharan Das studied philosophy at Harvard University and later attended Harvard Business School (AMP) where he is featured in three case studies. After heading Procter & Gamble India and South East Asia, he became Managing Director, Procter & Gamble Worldwide (Strategic Planning). At 50, he took early retirement to become a full time writer. He writes a regular column for five Indian newspapers, including The Times of India, and contributes to Financial Times, Wall Street Journal, Foreign Affairs, and the New York Times. He is a speaker to some of the world’s largest corporations and has served on the juries of the Templeton Prize, Milton Friedman Prize and the McKinsey Award. His other literary works include a novel, A Fine Family, a book of essays, The Elephant Paradigm, and an anthology, Three Plays, consisting of Larins Sahib, a prize-winning play about the British in India, which has been presented at the Edinburgh Festival; Mira, which was produced off-Broadway to critical acclaim from New York critics; and 9 Jakhoo Hill which has been performed in major Indian cities. He is presently editing for Penguin The Story of Indian Business in 15 volumes, of which six have already appeared. He lives in New Delhi with his wife. India vs China - who will win the race? How to reform our education system? The difficulty of being good--the moral dimension in our lives.